L. T. Meade (Elizabeth Thomasina Meade Smith) was a prolific writer of novels for girls and women. Between 1866 and her death in 1914, Meade published 280 titles, as well as short stories and articles for magazines such as The Strand Magazine and Ladys Pictorial. During her most productive period, she published more than ten novels a year. Born in Ireland in 1844, Meade was the eldest daughter of a Protestant clergyman. She developed an early ambition to writea prospect which horrified her father, as no lady in their family had ever undertaken work for money. After her mother died and her father remarried, Meade moved to London where she prepared herself for her writing career by studying in the Reading Room of the British Museum. 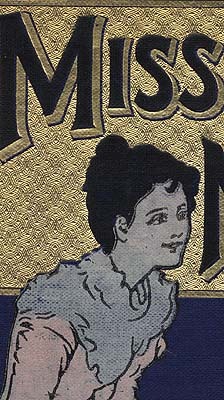 Meade was best known for her novels of girl adventure, especially her stories of girls at school. She established the girls school story with her enormously popular A World of Girls (1886). However, she also experimented with a variety of other genres, including sentimental and evangelical stories, historical novels, adventure stories, rom-ances, sensational stories and detective fiction.